i really want to give brussel sprouts a try and get over my childhood fear of them. this looks like the perfect way to do it! I tried Brussels for the first time as an adult about a year ago and was rather surprised I didn’t like them. I love cabbage and they look just like mini-cabbages. They were not a regularity in my youth, and I’m guessing my mother doesn’t like them either. Perhaps I’ll give them another go in a year or so. Did you use granny smith apples? I’ve tried really hard to like brussel sprouts because they’re so darn pretty growing on those awesome stalks in the garden, but the flavor is usually too strong for me, still. I tend to overcook them to mask the, uh, putridness…blanching them, then sauteing or roasting in lots of butter, nuts, and herbs. I’m intrigued to try a sweeter spin. Thanks, Gail! Yum! I actually always liked brussels sprouts, even as a kid. I know, I’m werid. I actually just roast them with a little salt, garlic and olive oil. So. good. I’ve found that Brussel sprouts are like curry or cilantro – either you love ’em or you hate ’em. Holley – I used Honeycrisps, but Granny Smith would work well, I think. Perfect recipe and just in time for Thanksgiving! I like my sprouts with a bit of soy sauce. I eat those like candy! These look delicious! I can’t wait to give them a try. 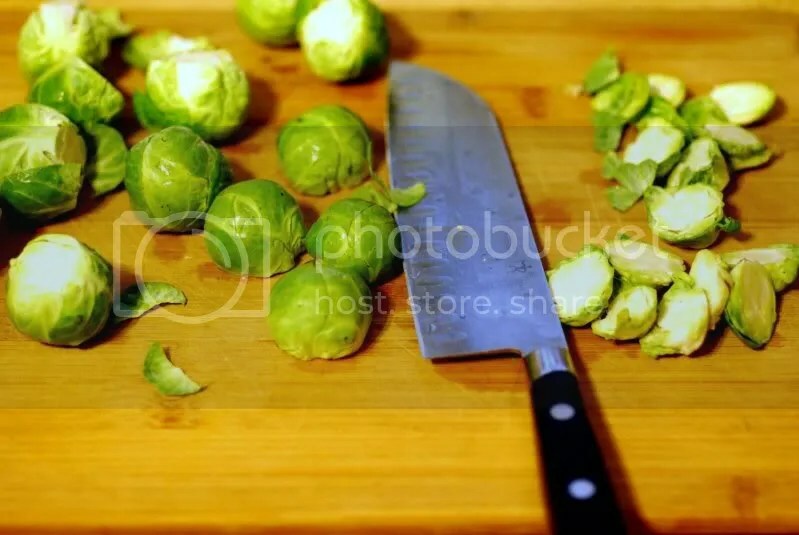 I am not a huge sprouts fan, but Markus is. I usually steam them and serve with lemon, sea salt and olive oil. Simple but very good. Yum! We like to just toss the Brussels in olive oil and salt and roast them for a good while. The best part is the crispy outer leaves that fall off which we call Brussel Chips. There’s a restaurant here in Ashland, Oregon that deep fries them (without any breading) which is pure divinity. 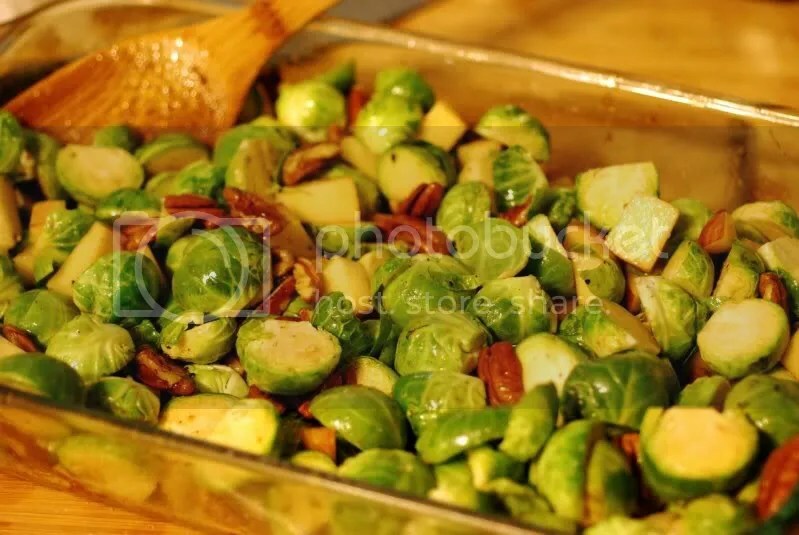 Years ago, when I was invited to a Thanksgiving dinner, my friend requested that I make a Brussels sprouts dish. I was bummed because I didn’t like them. So I started looking for good recipes and came across your recipe! When I brought this dish, I had a vegetarian friend over who hated Brussels sprouts his whole life. He took some to be polite, and he loved them so much he had seconds! I’ve made this dish for years now, especially for the holidays. One of my favorite recipes! I should add that using frozen Brussels sprouts works amazingly well, too.